Completed 1957 as Hanetia for STUK. 23-10-1975 arrived Kaohsiung for scrap. Peter Graham chief officer 1974 to 1975 Been ashore for four years. Ran from Curacao to east coast of USA across the Cuban blockade.Had some interesting morning calls from the US navy. 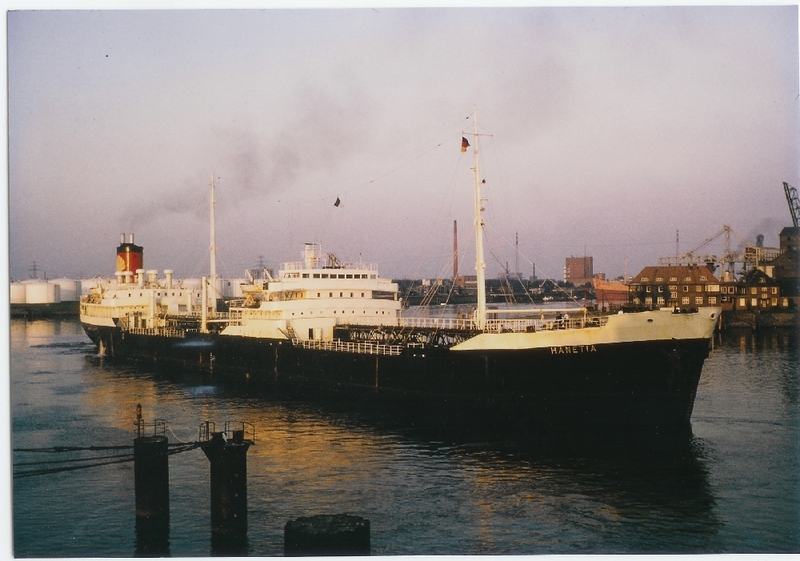 Joined the HANETIA new in Middlesbrough loaded in Rotterdam for Curacao then back loaded there, Bullen Bay and Cardon for Gibraltar - Suez - Port Sudan - Massawa - Karachi - Colombo - finally dropping off the last of the cargo at Budge Budge - then Bukom where I paid off to join the NORTHIA. My diary tells me that the 2nd Mate was not the nicest of persons to know (a common view amongst most of the crew). 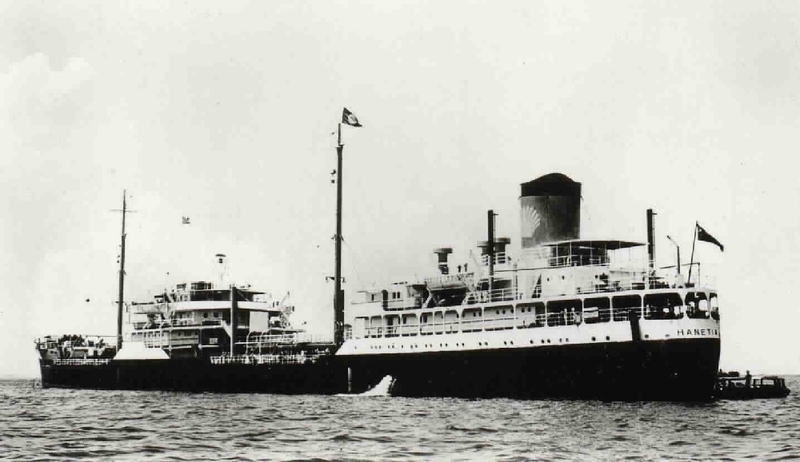 I re-joined her again the following year, again in Middlesbrough but did not sail on her as was transferred to the LATIA working on the Italian Coast. 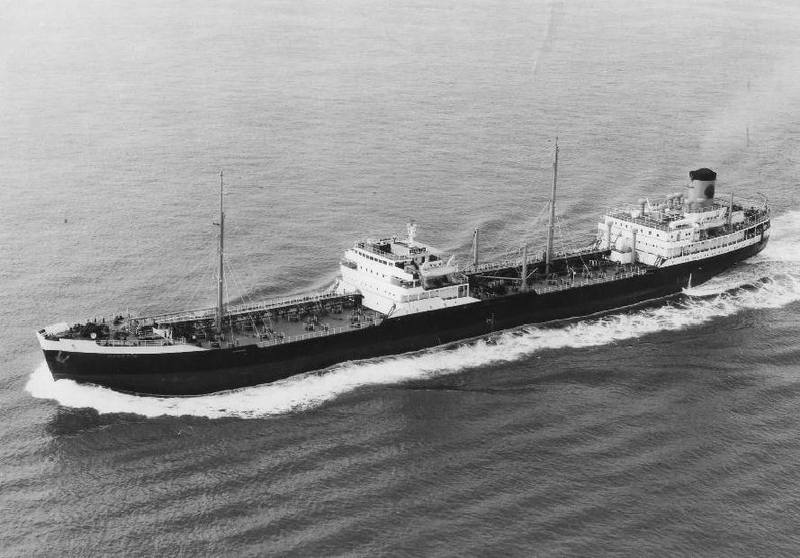 My first trip to sea.Stayed at The Avila Beach Hotel in Curacao 9.10.70.Went swimming at Bullen Bay.Captain was Henry Third.Signed off in Curacao 8.4.71.Basic training or induction course done in Plymouth. Flew out to Singapore October 1969 to wait for the Hanetia to arrive. We stayed at Connell House,an old collonial hotel. I think we were there about a week or so, great place!! The older lads introduced me to the delights of Boogy Street, with all it's charms. Ha Ha. I remember there was another catering boy (think he was from Yorkshire), we had a good laugh with the local ladies.Anyway the Hanetia docked and we joined it on the 30th October 1969. I can't remember where we went first but I know we were in Viet-nam over Christmas and New year 1969. Great time and double pay!!! I recorded the top 100 hundred songs of 1969 from AFVN (american forces vietnam network). Anybody remember it? It all went very quickly and we payed off in Curacao on the 7th April 1970. It was a good little ship and had some good memories, just forget my ship mates and names??? Joined at faslane 3/i/66. paid off Whangarei N.Z,10/4/67. Have you sailed on Hanetia? Log in and add yourself as a sailor to the Hanetia! Log in and add your personal story to the Hanetia!